Location ! Location ! 3 mins walk from bars, cafes and etc. Family friendly. Moana House is comfortable, sunny, and has a fully enclosed section, It is 3 mins walk from cafe's, bars and shops. Private out door area for BBQ. Play ground and the spectacular Lake is 4 blocks away. It has 3 double bedrooms and a large room upstairs which is set up to sleep 3 on divans and has 2 fold down double couches (making it ideal for large families or groups of friends.. There is a wood burner (wood supplied), a heatpump, and a wall heater in hallway for the colder days but house is very warm. Te Anau is set on the edge of the wonderful Fiordland National Park, and there are many activities for holiday makers relating to the lake, the mountains and the bush. visitors are expected leave house as they find it. The cleaning fee covers laundering sheets and towels etc and a general clean. You are welcome to use our condiments etc. We just ask if you use large quantities of anything that you replace before leaving. This house suited us ideally as a base for lots of day walks and other activities in the Fiordland Nation Park. The house was comfortable and had what we needed. Especially appreciated the large north facing windows that provided warmth from the sun. The location was very convenient indeed with shops and the town center close by. I would have given 5 stars but for the lack of wifi. But free wifi was available a short walk away in the town anyway. It was a lovely, quiet location. Our family of 5 found this house to be the perfect location for the first part of our trip. It was close to Milford Sound and the glow worm caves. Every night we walked around the cute town. Plenty of places to eat and a large park within walking distance. Everyone had lots of space to spread out. We had everything we needed to make our stay comfortable. Our 11 year twins loved the yard to play in and we had all of our dinners outside with the perfect weather. Couldn’t have asked for a better location. I walked to to grocery store on a daily basis (literately right in back of the house) Dont worry, didn’t hear any noise coming from the parking lot or traffic. Communication was easy and quick. Aloha Virginia. Thank you for a great stay. I've stayed here a few times now. I like it because of the great location, it has four bedrooms and a fence. The house is very quirky which I love but may not be to everyone's taste if you are after modern. Spacious two level house, great for a decent sized family or group of friends to share. Large living room great for hanging out or letting kids play. 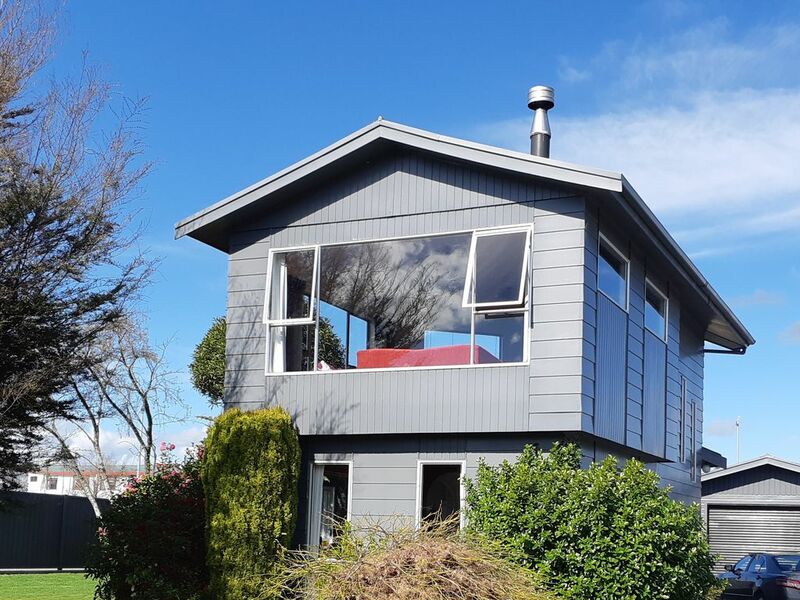 Located in a nice neighborhood near to the town center in Te Anau. We were able to walk from the house to the local cafes. Within driving distance of Milford Sound and great nature hikes. Had everything we needed for our stop over after Milford Sound..
Great location, plenty of space! Great location, plenty of space.